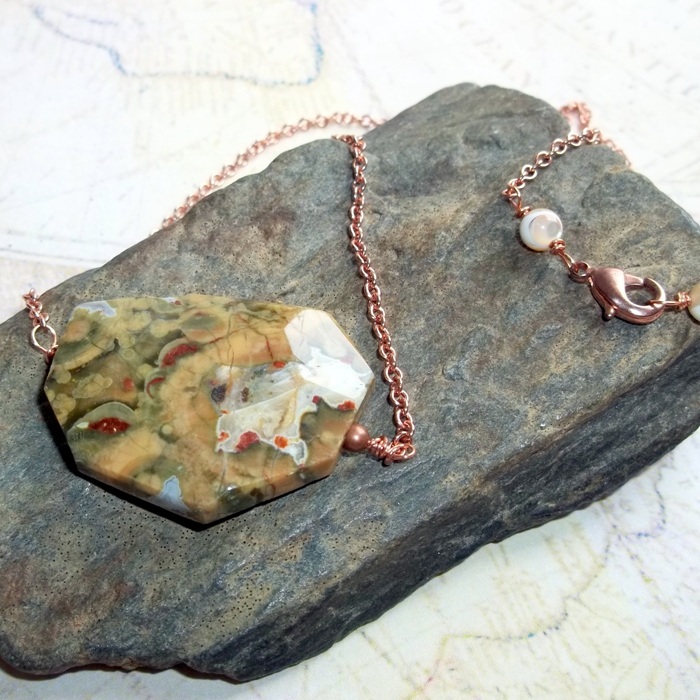 Large rainforest jasper gemstone set on a copper necklace with mother of pearl wrapped into the handcrafted clasp. 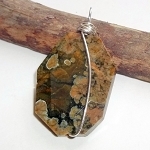 Rainforest jasper has beautiful green, brown, cream, and red coloring and incredible variation in the stone. 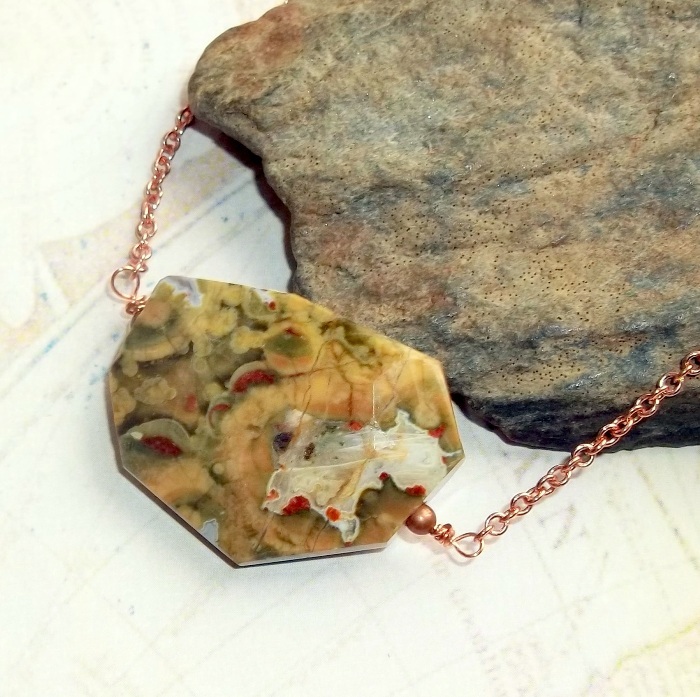 Jasper is a grounding and protective stone. 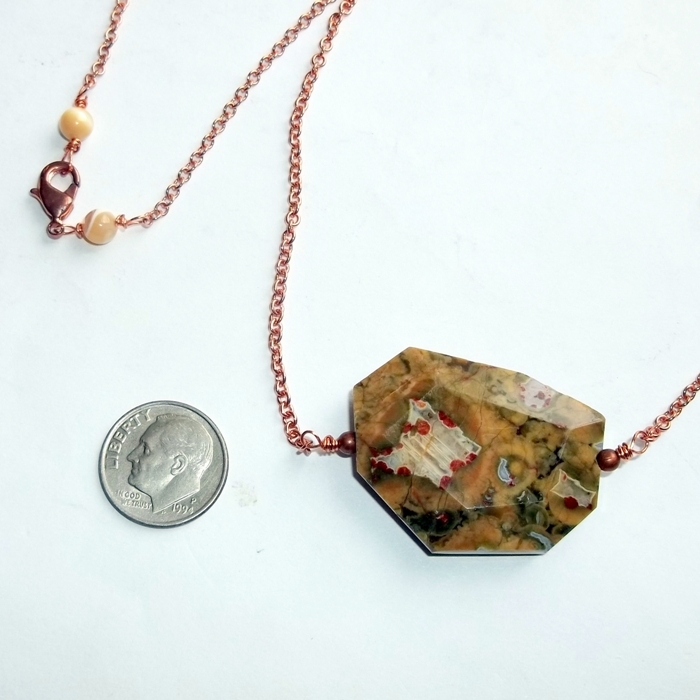 Gemstone measures approximately 35 mm x 25 mm and is a freeform shape facet cut. Total length 21 inches.